2019 marks the 50th anniversary of human beings setting foot on the surface of our Moon. The Apollo programme may have first and foremost been driven out of political need / desires, but it nevertheless stands as a remarkable achievement, given it came n the same decade when a human being first flew in space, and a little under 12 years since the very first satellite orbited the Earth. 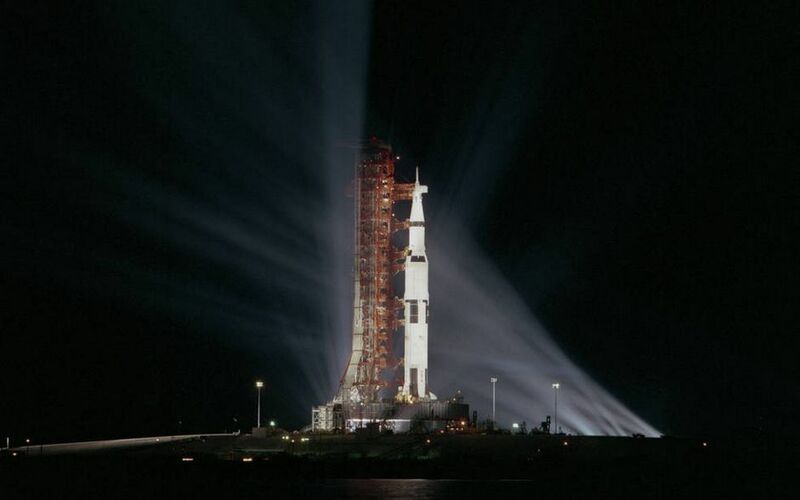 To this day, Apollo stands as one of the most remarkable space programmes ever witnessed in terms of scale, cost, and return. It propelled a generation of American school children to pursue careers in engineering, flight, the sciences and more. In all, the Apollo lunar programme flew a total of 11 crews in space between 1967 and 1972, nine of them to the Moon, with two crewed missions to Earth orbit. After the tragedy of the Apollo 1 fire in January 1967, which claimed the lives of Virgil “Gus” Grissom, Edward White II and Roger B. Chaffee, NASA worked hard to redesign the Apollo Command Module, providing far greater insulation against the risk of fire, as well as altering the vehicle’s atmosphere (from 100% oxygen to a 60/40 oxygen / nitrogen mix) and altering the main hatch so that the crew could escape in the event of a launch pad emergency. In October 1968, the redesigned vehicle, along with its supporting Service Module (together referred to as the Command and Service Module, or CSM) was tested in Earth orbit for the first time by the crew of Apollo 7. Scheduled for launch towards the end of 1968, Apollo 8 had originally been planned as the first orbital flight test of the CSM and Lunar Module (LM). 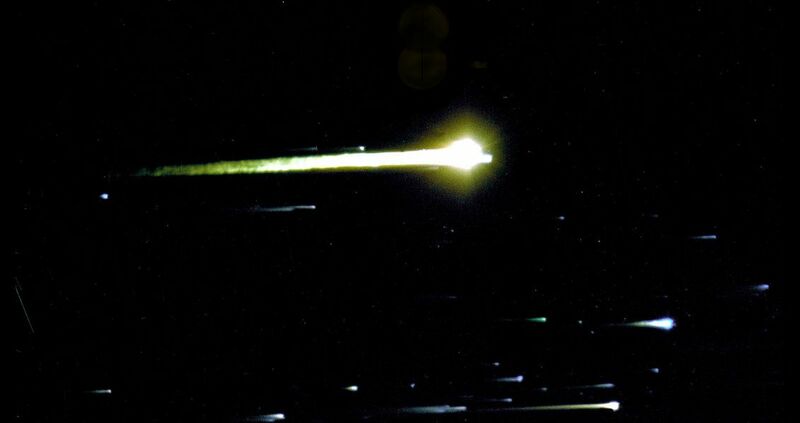 However, two events encouraged NASA to revisit their plans. 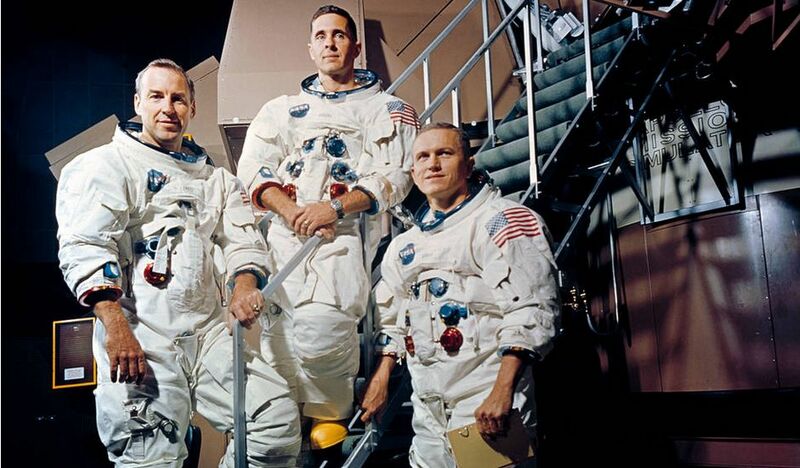 Due to continued delays in the delivery of a flight-ready LM, the agency decided to swap the Apollo 8 and Apollo 9 missions and crews around; Apollo 9 would flight-test CSM and LM, once available. Meanwhile, Apollo 8, carrying Frank Borman, Jim Lovell and Bill Anders, and marking the first crewed flight of the mighty Saturn V rocket, would be used in an orbital flight designed to simulate the atmospheric re-entry at the speeds a Command Module would face on a return from the Moon without actually sending the crew to the Moon. Then, in August and September 1969 photographs captured by US spy satellites suggested the Soviet Union had one of its massive N1 rocket, easily the equal of Saturn V, sitting on a launch pad. With fears that the Soviet Union was perhaps approaching the point where it could launch a crewed mission to the Moon, Apollo 8 was further revised and Borman, Lovell and Anders were informed they’d be spending Christmas 1968 where no other person had spent Christmas before: in orbit around the Moon, allowing them to fully check-out the CSM as it would be flown in an actual lunar landing mission. So it was that on Saturday, December 21st, 1968, Borman, Lovell and Anders were strapped into their seats atop the 110.6 metre (363 ft) tall Saturn V, about to undertake the longest journey ever undertaken by humans up until that point in time. At 07:51 local time (12:51 UTC) the five massive F-5 engines of the rocket’s first stage thundered into life, slowly lifting the 2,812 tonne (US 3,100 short tons) vehicle into the sky. On reaching orbit, the CSM still attached to the Saturn V’s third stage, spent some 2 hours and 30 minutes in orbit while the crew performed a final check of their systems. Then the S-IVB motor was re-started, and in five minutes accelerated the vehicle from 7,600 to 10,800 metres per second (25,000 to 35,000 ft/s), pushing it away from Earth and on course for the Moon. 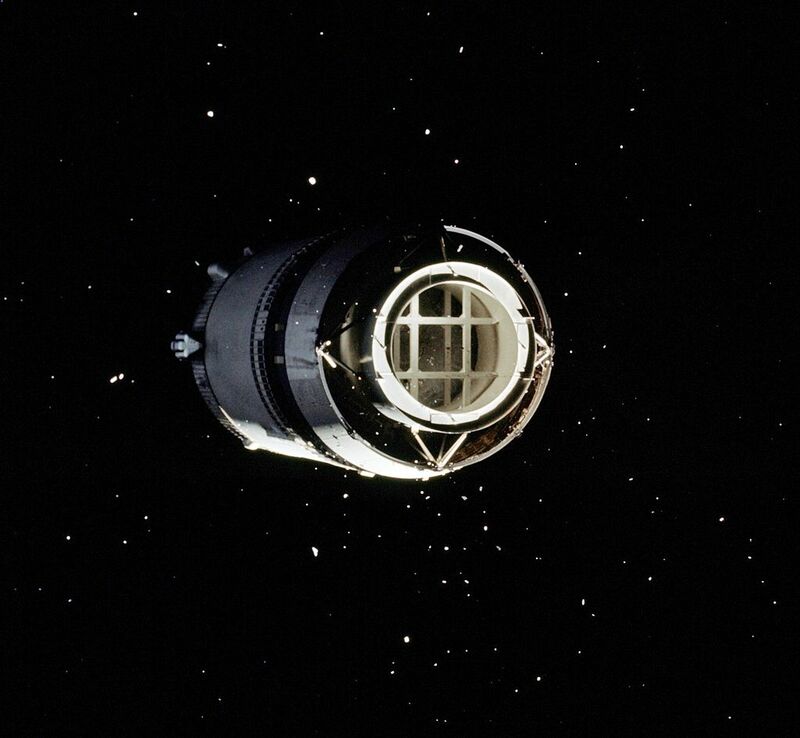 With TLI – Trans-Lunar Injection successfully completed, the crew separated the CSM and rotated it to photograph the expended third stage, still following behind. After a mid-course correction, and around 55 hours and 40 minutes after launch, the crew of Apollo 8 became the first humans to enter the gravitational sphere of influence of another celestial body as the effect of the Moon’s gravitational force on the vehicle had become stronger than that of the Earth. Nine hours later, the crew performed the second of two mid-course corrections using the CSM’s reaction control system, bringing them to within 115.4 km (71.7 m) of the lunar surface and oriented ready for a burn of the Service Module’s main motor to slow them into lunar orbit. This manoeuvre took place on the far side of the Moon, and out of communications range of Earth. It had to be performed perfectly, the engine burning for precisely 4 minutes and 7 seconds. Any shorter, and the spacecraft could have ended up in a highly elliptical lunar orbit, or even flung off into space; any longer, and it could have struck the Moon. The burn ran as planned, and for the next 20 hours, the crew were in lunar orbit, allowing them to study the surface and become the first humans to see Earthrise – something that can only be seen from lunar obit, and almost never from the Moon’s surface, because, as seen from any one place on the Moon, Earth remains in approximately the same position in the lunar sky, either above or below the horizon. In all, Apollo 8 made nine complete orbits of the Moon, 96.6 km (60 mi) above the surface, the three astronauts carrying out a wide range of tasks. These included two live international telecasts to five different continents and watched by more people than any other television program at the time. On Christmas Eve, 1968, Borman (fairly well recovered from illness that had dogged him for the first part of the mission following launch), Lovell and Anders filmed the surface of the Moon from Apollo 8 and commemorated their moment of awe, each man taking his turn to read from the book of Genesis. As it turned out, the quoting of Genesis was to become one of the more controversial aspects of the mission. In August 1969, atheist movement leader Madalyn Murray O’Hair sued NASA to prevent US astronauts publicly practising religion on or around the Moon, on the grounds that as government employees, they would be promoting or encouraging religion and thus breaking the separation of church and state. While the US Supreme Court rejected the case, NASA nevertheless remained nervous around the subject of religious expression by their astronauts for many years (in fact, Edwin Aldrin, the second man to walk on the Moon and a devout Presbyterian remained silent for several years about the fact he took self-administered Communion whilst he and Armstrong were on the surface of the Moon). On Christmas morning 1968, after nine-and-a-half Moon orbits and 3 days, 17 hours and 17 seconds after launch, the main engine of the Apollo 8 Service Module was again fired, propelling the CSM combination back towards Earth. 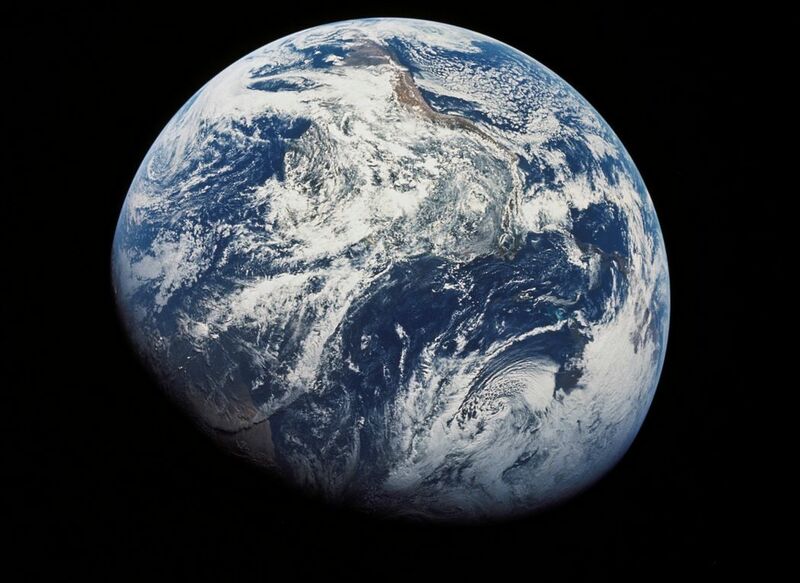 With mid-course corrections flawlessly performed, the Apollo 8 Command Module separated on approach to Earth, tearing into the denser part of Earth’s atmosphere at 40,000 km/h (25,000 mph) on the morning of December 27th, 1968, generating what Command Module Pilot Jim Lovell called “a real fireball” in the process. Splashdown occurred went as planned in the central Pacific, approximately 1,600 km (1,000 miles) south south-west of Hawaii. The crew and the Command Module were recovered by personnel from the aircraft carrier USS Yorktown, bringing to an end arguably the most historic human space flight prior to Apollo 11, which followed just under 7 months later. Frank Borman, an Air Force pilot, made two flights into space, both with Jim Lovell as a companion. His first came in December 1965, on the record-setting (at the time) 14-day Gemini 7 mission. Following Apollo 8, astronaut chief Deke Slayton wanted Borman to command the first mission to the surface of the Moon. However, Borman declined, opting to retire from NASA. After a career as an advisor in civil aviation, Borman retired with his wife, Susan, moved to New Mexico, where he enjoyed rebuilding and flying vintage aircraft from World War II and Korean War eras. In 1998, they moved to Montana where they had purchased a cattle ranch and where they still live. At almost 91 years of age, Frank Borman is, by just 11 days, America’s oldest living astronaut. Jim Lovell, a US Navy pilot, flew in space 3 times on three historic missions: Gemini 7 and Apollo8, both with Frank Borman, and finally Apollo 13, which he commanded. This mission was famously aborted en route to the Moon after an explosion in the liquid oxygen tanks of the Service Module left it crippled, and the crew had to rely on the Lunar Module in order to get around the Moon and back to Earth before resuscitating their Command Module to make a safe re-entry in Earth atmosphere prior to splashdown. Lovell retired from NASA and military service in 1973, and took up a successful business career. Today he is the second oldest living US astronaut after Frank Borman. He still visits colleges and universities where he gives speeches on his experiences as an astronaut and in business, and encourages students to get involved in science and the space programme. Bill Anders, a US Air Force pilot, made just the one flight into space with Apollo 8. Although he was assigned to the back-up crew for Apollo 11, he accepted an assignment with the National Aeronautics and Space Council, which was responsible to the President, Vice President and Cabinet-level members of the Council for developing policy options concerning research, development, operations and planning of aeronautical and space systems. Although he retained his astronaut status through until he retired from NASA and the NASC in 1973, he never flew in space again. From NASA he served on the US Atomic Energy Commission for two years before President Ford appointed him to the US Nuclear Regulatory Commission in 1975. From 1976 to the end of his federal career in 1977, he served as the US Ambassador to Norway in 1976. He then pursued a successful career in business, during which he established the William A. Anders Foundation, a philanthropic organisation dedicated to supporting educational and environmental issues. Today, aged 85, he resides with his wife in Washington state. 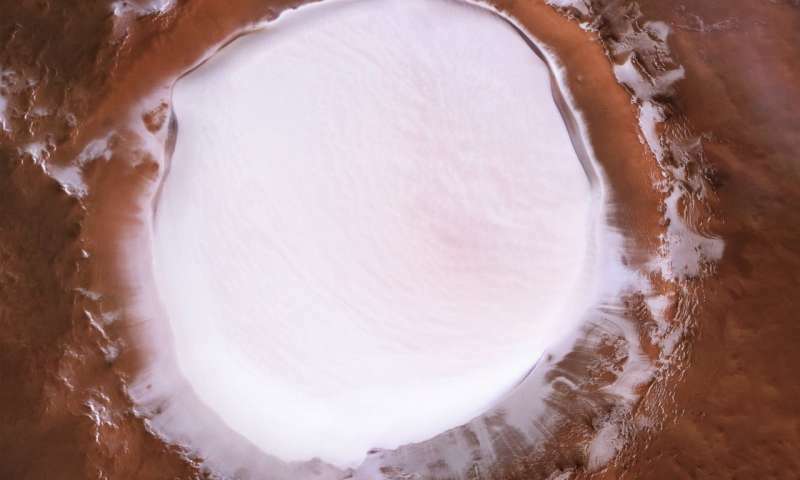 On December 21st, 2018, the European Space Agency released stunning images taken of the surface of Mars by the Mars Express orbiter. It shows a veritable winter wonderland, a crater seemingly filled with ice and snow. The crater, called Korolev, sits within the northern lowlands of Mars, and is 82 (51 mi) across and sinks to a depth of around 2 km (1.2 mi), making it the ideal “cold trap”. This is a situation where the temperature within the crater is much lower than the plains around it, naturally drawing warmer air into it. As the air drops into the crater, so it cools and condenses, freezing out into ice. This in turn reduces the temperature in the crater further, causing more atmosphere to condense out into ice as it flows into the crater. Thus, over thousands of years the crater has gradually filled with a permanent accumulation of ice – much of it actually water ice, and ESA estimates that Korolev crater contains about 2,200 cubic kilometres (528 cubic miles) of water ice. That’s a volume roughly equal to Great Bear Lake in northern Canada. This icy presence within the crater – named for the father of Soviet space exploration, Sergei Pavlovich Korolev – has long been known. 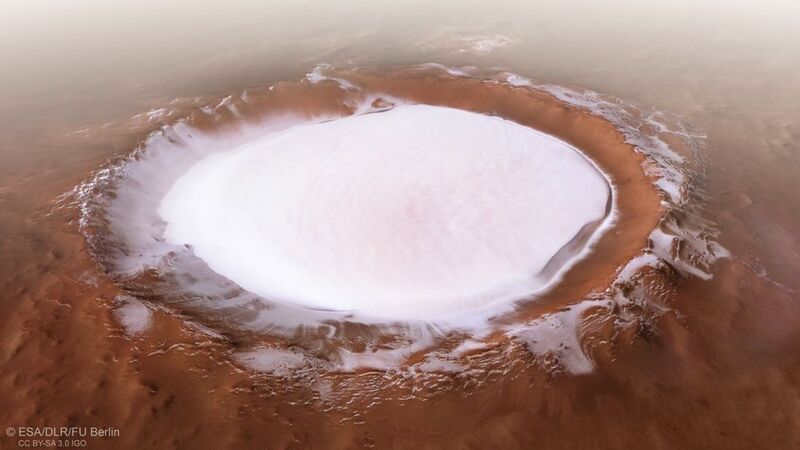 However, the image obtain by Mars Express, and which comprises five “strips” captured by the Mars Express High Resolution Stereo Camera (HRSC), is the first to fully reveal the sheer beauty of the crater’s ice lake, believed to be around 1.8 km deep. December 25th 2018 marks the 15th anniversary of Mars Express arriving in orbit around Mars. Often overshadowed by the US Mars missions, the orbiter has been surveying the planet throughout, adding tremendously to our understanding of the planet and its environment. It is currently one of two ESA missions operating around Mars, the other being the Trace Gas Orbiter, which arrived in October 2016 as part of the European ExoMars mission.The second part of the ExoMars mission, a lander / rover combination, is due to be launched in 2020.